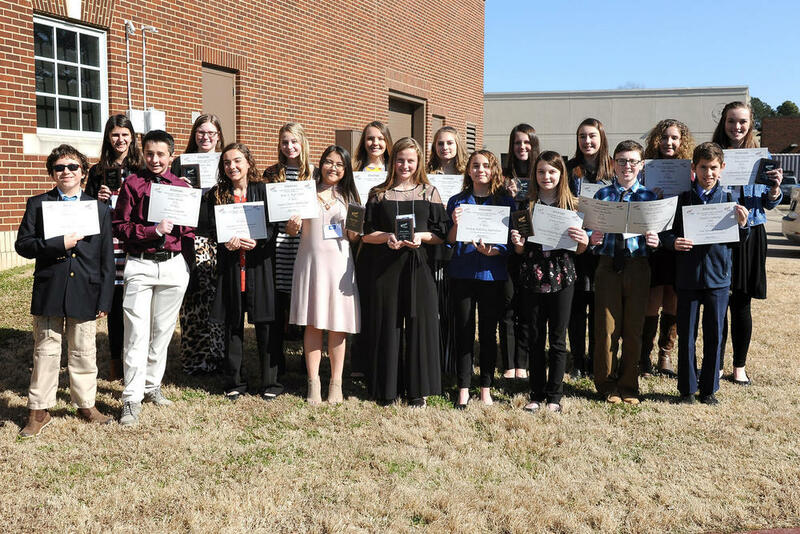 Beebe Jr. High FBLA is District V Champions for the 10th year in a row by winning the Middle-Level District V FBLA Spring Competitions at UCA in Conway on January 30, 2019. Beebe Junior High FBLA finished 1st in the competition with 91 points. Points are given according to how each chapter places in each event. 1st place receives 5 points, 2nd place receives 4 points, 3rd place receives 3 points, 4th place receives 2 points, and 5th place receives 1 point. If the chapter does not finish in the top five places out of the 30 schools competing, then zero points are awarded. Beebe placed in 24 of 31 events including: 11 first place, 3 second place, 4 third place, 5 fourth place, and 2 fifth place finishes.